Edmunds.com lauds Jeep’s “long history of producing trucks and SUVs capable of off-highway adventures.” The lineup of new Jeep vehicles delivers first-class fittings and features to improve comfort, convenience, and safety as you travel through Monticello or between Anoka and Ramsey, but that philosophy of off-road performance has never waned. What Can I Expect From a New Jeep? Legends like the Jeep Wrangler put backcountry performance first-and-foremost, while modern iterations like the Jeep Compass are stylishly modeled for the city. If you’re looking for one of The Car Connection’s 2018 Best Mid-Size SUVs, you’ll be looking for the new Jeep Grand Cherokee. Regardless, expect your Jeep to feel deeply capable. From Trail Rated capability to state of the art 4-wheel drive, Jeep SUVs are class-leaders. 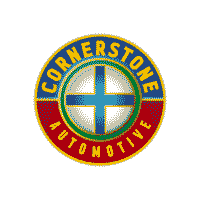 If you’d like to experience the Jeep difference first-hand, contact the Jeep dealer within Cornerstone Auto Group: Cornerstone Chrysler Dodge Jeep Ram. If your heart is already set on your new Jeep of choice, you can even apply for financing from the comfort of your own home.